Fragrance is an emotional subject, although when you enter a department store to be assaulted on all sides by the latest offerings, it is easy to forget to really take your time and make sure that you love a perfume before parting with your money. It is important to wear a fragrance for a while to fully experience the longer lasting middle and base notes which are the real heart of a perfume and do not truly arrive until after the fresher, louder top notes have disappeared. This is not something that is uppermost in the minds of people trying to get you to buy whatever new scent they are trying to sell! For me, there are a handful of perfumes that will be forever associated with specific people and moments in time. The first of these is ‘Eternity’ by Calvin Klein. My perfume bible (Perfumes, The A-Z Guide, by Luca Turin and Tania Sanchez) describes this as a ‘ screechy and soapy’ rose. Which it is. For me, it is also the smell of Rhodes, a greek island that was the location for my one and only foreign holiday as a child with my parents and younger brother. 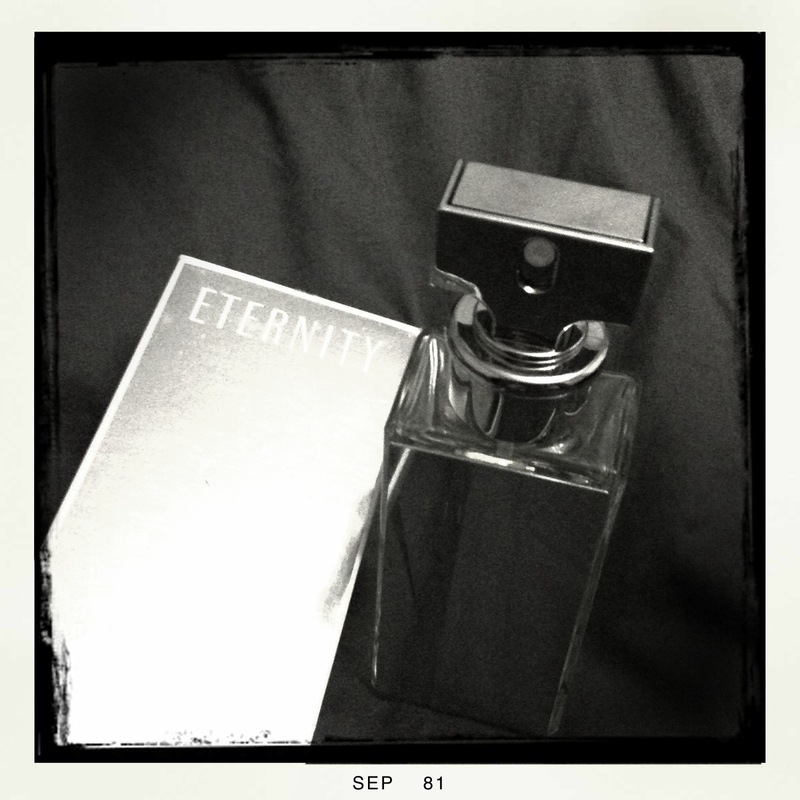 My mother bought a bottle of Eternity at the airport on the way there and wore it every day. Infused in my memories with the sun, sea and Greek hospitality, this perfume is the one I wear to feel close to my Mum, even though she doesn’t wear it these days. ‘Envy’ by Gucci fares better with Turin and Sanchez, as a five star green floral. Sadly now discontinued (although you can still pick it up in a few places) Envy was one of the first perfumes I bought for myself, as I was lured into the undeniable glamour and luxury of the Gucci house, and intoxicated by the smell. I wore this for a long while, and my oldest friend bought some for me, so it will always remind me of her, which is now a memory tinged by sadness as she emigrated to Canada. Rather amusingly, ‘Envy’ is really similar to ‘Pleasures’ by Esteé Lauder. Considering the contrast in the marketing of these two fragrances, it makes me smile to think of how similar they smell. Another perfume that will always remind me of old friends is ‘Poison’ by Christian Dior. Famously loud, this is not a fragrance to wear when you are going to be in close contact with other people and certainly not out to dinner. We all wore it to dance in night-clubs, pretending to have an air of sophistication beyond our years. It formed the backdrop to many a memorable evening and in my mind is part of our coming of age. We also used to wear ‘Tendre Poison’, a lighter, greener version, which is also now discontinued. Lura Turin says of Poison, “This is the fragrance everybody loves to hate, the beast that defined the eighties…” (Although I’d like to point out that we were wearing it in the 1990’s in case anyone is trying to work out my age!) Apparently, it’s back in style, along with other loud eighties favourites this winter. If you choose to wear it, do so sparingly! These days, I take great care in choosing new fragrances, and I’ll be writing about new favourites soon. If you’re interested in buying a copy of my favourite perfume guide, take a look here: Perfumes: The A-Z Guide: Amazon.co.uk: Luca Turin, Tania Sanchez: Books.